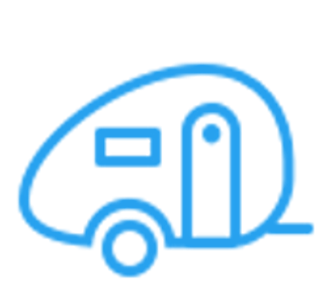 Are you thinking of going camping but don't wanna tent it? Do wanna stay warm and cozy in Winter or keep cool in Summer? 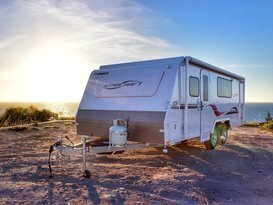 Then, this Pop Top Caravan has everything you need for weekend getaway, extended road trips or everything in between. 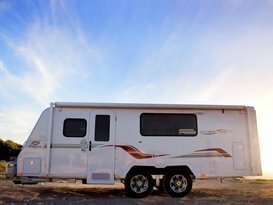 This caravan can accommodate up to 5 people in comfort. 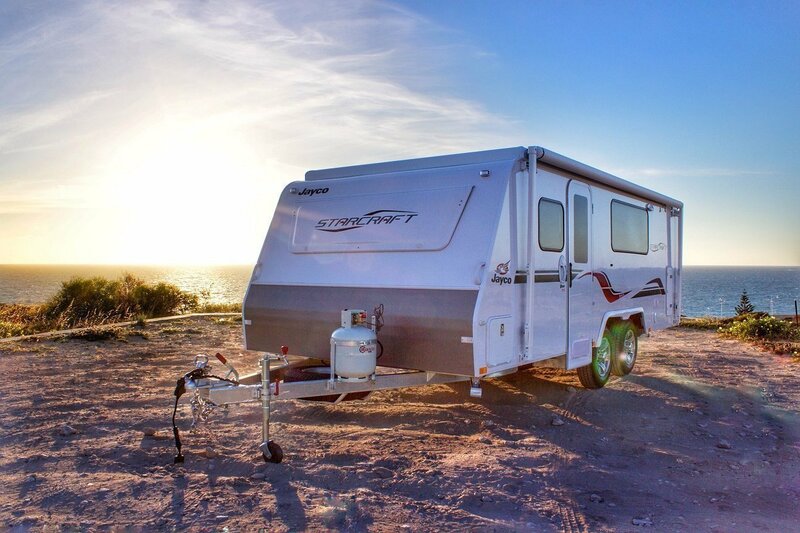 This impressive and luxurious Jayco Starcraft family caravan has everything you need for an amazing Aussie holiday. 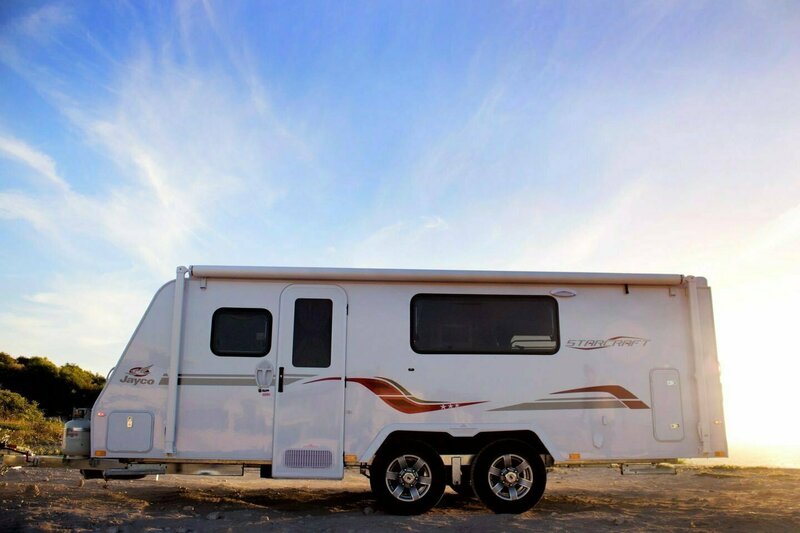 Luxury extras includes reverse cycle air-con, TV/DVD, microwave, 3-way Fridge/ Freezer, roll-out awning, 1 Full-sized Queen Bed, 3 x Bunk Beds, Dinette which converts into a bed and plenty of storage. This Caravan is strictly for use on sealed bitumen roads only, and is unsuitable for use on tracks, dirt or graded roads regardless of condition.